Do you love your printer? Most people don’t. Between running to the office supply store for toner or standing over the machine praying for the last page of an important document to print, most folks do not have warm and fuzzy feelings about their printers. But it doesn’t have to be that way. Print technology has come a long way in the last few years, and the latest innovations can deliver an important competitive advantage to your business. 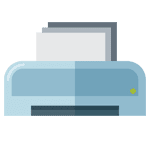 CMIT offers comprehensive Managed Print Services: certified technicians who service your printer on a regular maintenance schedule, unlimited toner shipped directly to your door in time for the cartridge change, and reliable paper supplies. Stop worrying if the right printer cartridge will be in stock when you need it. Double-sided, multiple page sizes, finishing options. You name, we bring it.